The rhetoric of the Trump administration has brought a lot of attention to the topic of immigration and refugees. In this episode of the ABA Law Student Podcast, host John Weber talks to Carl Hernandez about the immigration clinic at Brigham Young University. Their clinic is managed mainly by students and meets a great need in the Utah community which has a large immigrant population. Carl discusses how the clinic got started and how it provides access to justice to immigrants and refugees while also providing experience to the law students that keep it up and running. Carl Hernandez teaches constitutional litigation and professional skills courses at the J. Reuben Clark Law School at BYU and has initiated and supervises clinical alliances with the Utah State Legislature, non-profit organizations, community-based organizations and economic development agencies. 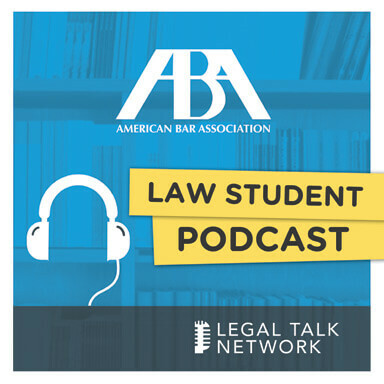 John Weber: Hello and welcome to another edition of the ABA Law Student Podcast on Legal Talk Network. I am John Weber, the Division Delegate for Communications, Publications and Outreach of the ABA’s Law Student Division. I am a 3L at the University of Louisville Brandeis School of Law in Kentucky. Our show today is sponsored by the American Bar Association Law Student Division. In this monthly podcast we cover topics that are of interest to you, Law Students and Recent Graduates. We will be talking about a variety of issues from finals to the Bar exam and everything in between. We hope this show is a trusted resource for you and for all of our listeners. Today, we will be talking with Prof. Carl Hernandez from the BYU Law School, and from the BYU’s Student Represented Immigration Clinic. Carl Hernandez: Oh, thank you John, I am grateful for the opportunity to chat with you about this immigration clinic that we have recently opened here in Provo, Utah as part of the BYU Law School. John Weber: Well, and Professor we here at the Law Student Division are excited to learn about it as well, not only to see what our fellow law student colleagues are doing across the country, but also because it’s been an area of interest for the division leadership as we have pushed various policies and reforms related to immigration law. So it’s timely and we appreciate your expertise and your work on the ground. So, if we could just get started, tell me a little bit about you, about your school, about your students, and then we will get a little more specifically to the clinic. Carl Hernandez: Happy to do that. I am from the Central Valley of California. My grandparents are Mexican immigrants and they came to the Central Valley of California to work in the fields there. I was raised as a migrant farm worker where we picked olives and oranges and apples and other types of fruit and nuts in the Central Valley. And so I have a really deep connection and interest in helping those who are immigrants into this country to achieve their goals and to prosper. In fact, I was raised in an area where John Steinbeck wrote ‘The Grapes of Wrath’ and so it’s just a place where many immigrants have come to raise their families and where we have been able to make strong connections with the communities, which we have been associated. John Weber: Well, that’s wonderful. Thank you. So, Prof. Hernandez, can you tell us what classes you teach and how your expertise and interest in the law have overlapped with this clinic? Carl Hernandez: Yes, I teach Civil Rights Litigation course, a Section 1983 course that allows students to develop litigation skills related to civil rights actions. I also teach a Fundamental Lawyering Skills class that teaches students how to develop their fact investigation, their negotiation and their mediation skills, and then I run several of our clinics here at the Law School and oversee their operation. So, we are quite busy here, but most of those courses that I teach relate to experiences I had as a practitioner and the clinic experience is how we really relate to my upbringing and my passion for bringing legal services to the poor and the needy and the marginalized communities in our society, having been raised as a migrant farm worker and seeing some levels of injustice throughout my life, I really have a passion for helping students to engage in communities where they will see maybe and experience things that they have not experienced in their lives, their perspectives will change. And my hope is that the private Bar as well as the public Bar will recognize this great need, and so, we are sending students, sent out into our communities that have had these experiences serving these marginalized communities. And I want to reengage at some point in their careers, hopefully right from the beginning of their careers and keep this as a part of their professional identity that they are willing to give some of their time and their talents to assisting those that really are needy in our communities. John Weber: And when you say that you have experienced some of these marginalized groups and the struggles that they face, can you give us an example, put a face or a story to what your clinic really does? Carl Hernandez: Okay, I will tell you a story about my first bicycle. When I was a young child we had no bicycles and my grandfather saw us one day running up and down the street to try to catch a quick ride from a friend that happened to be fortunate to have a bicycle, and so, when I was about eight or nine-years-old, my grandfather brought our first bike home and I was so excited about getting this bicycle. So, we didn’t have a telephone at that time and my mom told us, you need to, you thank your grandfather, now you need to go down to the payphone, which again is another obsolete thing in our society today, and put a dime in and call your grandmother and let her know that you are grateful for this bicycle. So, we got to the phone booth and we were waiting for, what seemed to me like forever is probably half an hour, and there was a lady in the phone booth that had basically kept us there because as soon as the police officer pulled up in his cruiser to the phone booth, she stepped out and said, that’s my son’s bicycle. It was stolen six months ago, and so the police officer loaded the bicycle in the trunk, put my brother and me into the police cruiser, which is the first time I had ever experienced that kind of a contact with the police. And so, they drove us home and brought the bicycle up to the front porch, knocked on the door, asked my mom to produce a receipt for the bicycle. Well, of course, my mom couldn’t produce any receipt and so she had to go over to the neighbor’s house and call my grandfather to come over and to produce proof of where he had gotten this bicycle. And so, my grandfather produced a receipt where he had purchased this bicycle at a local police auction, where the state of the law at that time was that if you purchased a bicycle like this then it was a lawful purchase and you became the owner of the bicycle. But my grandfather, he taught me a couple of lessons; number one is that he had great deference to the authority of the police officer; and number two, he could see that this woman was distraught about this bicycle. So, both the officer and my grandfather agreed to give the bicycle back. So, I owned my first bicycle for about an hour at most, and so, it was of course devastating to me. Well, I came back to represent the city where this all occurred and had an opportunity to look at the law and research and change some of the laws related to these exact types of situations. So, for me that was my first experience with the law, I viewed this use of authority by the police officer, where he should have known the law right and understood that it was a lawful purchase, but I also learned a lesson from my grandfather, who is a humble immigrant, who taught me that they are hired laws that relate to these sorts of situations and that sometimes what the law requires is light-years below what we might require morally. So, that was one of my first experiences, and I have several other experiences with government and authority and that sort of thing that help me to recognize and realize that we need people out that are ensuring that people aren’t oppressed by the laws or by their application by government agents. And so, that’s where I have developed some of my passion. John Weber: Thank you so much for sharing that. So, tell me a little bit about what caused you to form the clinic? I hear your background lends itself particularly well to this, it’s an area of interest and expertise, but could you talk a little bit about areas of law that you have focused on, and then again, what caused you to form this clinic? How did the need present itself? Carl Hernandez: Right. I appreciate the opportunity that we have to work with immigrants in this community. Utah really has a strong immigrant population. The statistics that I’ve seen particularly from the American Immigration Council tell us that one in 12 residents in the State of Utah are immigrants. And so, we do have a really strong immigrant population base. We have about 9,000 DACA recipients here in the State and many of them are attending our great universities. We have a strong educational support for immigrants in this State. And so, we have both, a strong general immigrant population, but we also have a strong student immigrant population. And so, we were approached by The Church of Jesus Christ of Latter-day Saints who happens to be our sponsoring institution, to see if we’d be interested in forming an immigrant and refugee clinic that would serve this large population. We have about 1,200 refugees that are resettling here in the State every year and we’ve got about 60,000 refugees that currently call the State of Utah home. So, we have that strong base of individuals who come from refugee backgrounds, but we also have a really, really strong population of students here at BYU that speak a second language. The University itself has a student body that about 65% of them speak a second language. I think our law student population is probably even higher than that, probably approaching 75% of our student body speak a second language. And so, it makes it possible that we can bring these students into these clinics and use their language skills and their lawyering skills that they are acquiring here in the law school to serve this immigrant population. Carl Hernandez: That was excellent. I actually understood what you said. John Weber: Very good. I can’t speak Spanish though and I noticed that every single one of your students in the clinic speaks Spanish. Are there opportunities for that other 25% that are not fluent in a second language? Carl Hernandez: Yes. There are many opportunities because this particular clinic though we’ve really focused on the immigrant population through our connection with The Church of Jesus Christ of Latter-day Saints. We have also opened a clinic out to other marginalized populations in our community including those who are socioeconomically disadvantaged, the homeless and others who are interested in accessing legal services for the problems and the issues that they may have as they are living here in this particular area of the country. So, those students would be able to address other language needs that those who speak English as their first language and we’ve had other clients that have come in that have other language needs like Portuguese and such. So we are continuing to serve populations beyond the Spanish-speaking population in this area. John Weber: Prof. Hernandez, I know that your clinic is a little bit different than maybe some of the clinics that other law students across the country are familiar with; in that, one, it’s completely student-led. I’d love to hear a little bit more about that, and then two, it took a lobbying effort for your law school community to go in front of, as I understand that the State legislators and maybe even Supreme Court in getting some rules changes, can you tell us a little bit about that lobbying effort that you all undertook to get this clinic started? Carl Hernandez: Happy to. So, we have several different types of clinics here at the law school and one of the clinics that we have is a government practice or government representation clinic. And, our students took on the task of analyzing and doing a comparative analysis of the Law Student Practice rules in the United States for all 50 states. And, what we found is that Utah’s Law Student Practice rule was the most restrictive Law Student Practice rule in the country, which was surprising to us and which led us to recognize that our students did not have practice opportunities as some of their colleagues at other law schools in the country. And so that group took that 50-State survey, looked at some of the law student practice rules that we thought might be more beneficial for our community here and went through and made changes. For example, before the changes were made to the present Law Student Practice rule the State of Utah required a stipulation of all parties for a student to even participate in any aspect of representation of a client, which none of the other states had this type of onerous requirement for their law students. And so, the students took on the task of redrafting the rule and making presentations and preparing us to make a series of presentations before the Utah State Bar Commission and then ultimately to the Utah Supreme Court, which approved changes to the Law Student Practice rule in January of 2016. So, it was another student-led initiative and group of students that actually worked on revising the entire Law Student Practice rule for the State of Utah, helping to present before the Utah State Bar Commission and also the Utah Supreme Court. So, it really was a student-led initiative that got us going in the direction of opening more opportunities for students to practice in the State of Utah, but also, to provide access to justice for many of our marginalized citizens here in the State of Utah. John Weber: Did you receive any resistance to wanting to start the clinic? Carl Hernandez: Not really. We didn’t receive much resistance at all, in fact because we were working closely with our sponsoring institution, I think that opened some doors for us, but because the justices for the Utah Supreme Court recognized that access to justice in this country and access to the legal system and legal services is a serious and significant problem, they viewed these students as providing a great opportunity to the citizens of the State of Utah to access these services. Like your students there, at your law school, I think most are committed to providing services to the needy and to those that don’t have access to justice, and so, we actually had a tremendous support from our sponsoring institution, from our University, the main campus, as well as the Utah State Bar and the highest court in the State, each of those groups provided significant input and substantial support for what we are doing in this clinic. John Weber: You mentioned that the current generation of law students is exceptionally committed to social justice, I certainly notice that as well and that’s no secret. Do you notice any difference between this generation and previous generations perhaps that you taught in their commitment to social justice? Carl Hernandez: I do see a difference. I believe that many of the students that are coming to law school today recognize that there is questions about the value of legal education. I think we are all aware of that that there are many in our society today that feel that the legal education may not be a good investment. So, we have seen a downturn right in applications to law school, we have seen a downturn in a number of students that are going to law schools, but what we also see is that there is a significant commitment to social change coming from our students, and we view the Law degree as a leadership degree, one which will help our students to go out into society to not only become great advocates for their clients, but also to engage in leadership and all segments of our community in the private sector and the nonprofit sector, and in government. I think there are a number of articles out there nowadays that help us to understand how lawyers can help to create substantial change in society that benefits those constituents that they serve, and I have seen an increase in the number of students that are interested, for example, in our immigration courses. Our courses are usually full. Our clinic is full. We have got people on the waiting list that want to engage in serving the poor and like I have mentioned previously other marginalized communities in our area here. And I don’t doubt that they will go out and have their perspective changed because of this clinic and have a great desire to provide further pro bono services to marginalized communities. John Weber: Of course my fellow law students would not be happy with me if I didn’t also say that we also want jobs, of course we are committed to social justice, but especially I am a third year law student and I am starting to feel the crossroads that is law school graduation and what comes next. Do you think this clinic makes law students that participate more marketable? Carl Hernandez: Absolutely. The students in this clinic are taking clients from start to finish, so they will conduct an initial fact investigation by doing an interview and they will continue to gather documents and information that’s necessary to analyze what types of solutions they can provide to their client through the counseling process. They are also doing the drafting petitions and other documents and creating letters and demand letters and other types of legal documents and following the process all the way through to completion. And so if you have got a student that’s able to demonstrate that they can take a client from an interviewing and counseling, other fact investigation process, all the way through full representation, then I believe that will help them to demonstrate to prospective employers a couple of things. Number one, that they are able to exercise some of the most important and what I would call fundamental lawyering skills that are required of someone in the profession. And number two, that they are willing to serve populations that I think would be of interest to those that are both working in the private sector as well as the government sector, that are providing these services to these populations and therefore would be able to provide meaningful representation, whether from a pro bono standpoint or otherwise once they enter into these firms and these other agencies. So it shows a commitment to, one, actual practice and number two, a commitment to pro bono service. And so I think that the experience that students get from start to finish gives them a real life experience dealing with real human beings that you just don’t really get from a pure case analysis and courses that of course are important to the legal education, but this gives the students some additional, I think, demonstration opportunities of how they use their professional lawyering skills in a real life setting. John Weber: I am curious how this compares to your law school experience. What would you as a law student think about these opportunities and these changes perhaps since you were in law school; since I understand that you went to school at BYU as well? Carl Hernandez: That’s right. I would have said hallelujah had they provided us these types of experiences when I was in law school. I don’t recall having any type of live client, full representation opportunity when I was in law school. In fact, I don’t recall having any types of clinics at the time I was going to law school. I think we had internships and I did serve internships during the summer and as a research assistant and a teaching assistant during my law school experience, but I didn’t have a live client representation clinic opportunity. So I think my recollection of coming out of law school and going into the actual practice of law was the partner coming into my office and laying a green file on my desk, which kind of dates me, right. So put a file on my desk and says you are going to be in court on Tuesday and so I had never had an actual trial experience, I had never had any sort of appearance before a real court, nor had I dealt with a real client before that assignment was given to me. So you can imagine a student that’s already had the opportunity to represent clients in the courtroom and before immigration services, before other boards and commissions would have a significant advantage over others that haven’t had that opportunity. I mean they are able to hit the ground running when they are going into the actual practice of law. So I think that I would have just been overjoyed by having the similar experience while I was a law student. John Weber: I don’t think that dates you. I have certainly heard about files printed on paper rather than the computer. So tell me, does this satisfy a requirement for the law school? Do you have an experiential learning requirement to graduate, and if so, does this relate to that third year practice rule under the Utah Supreme Court’s Rules? Carl Hernandez: The only requirement that we have is the standard ABA requirement that students take at least six credit hours of professional skills type courses during their law school experience, which can include, as you know, simulation courses, could include externships and these types of clinics that we have been talking about. So there’s really no actual requirement, although I have heard students already in this first year of the Law Clinic say that we ought to make the experience mandatory for all students. They felt so strongly about the impressions that they have had from meeting with their clients, how their views have been changed because of the client interaction, how exciting it is to have a client come in and express gratitude for the work that’s been done on their behalf. And so the service that these students are providing through this clinic I think goes well beyond the simulation course or the externship that a student might have, where they don’t have that full range of representation that’s available in a clinic. I am not saying that the other experience aren’t good, I think they are valuable as well, but this experience in a clinic provides students with, I think, a holistic professional skills experience that will prepare them well for a life of service in the law beyond their own practices. John Weber: So how do you maintain a clinic like this that is student-led, so naturally there might be an ebb and flow as some students are more interested and then they graduate and you get new students in, how do you project this clinic out into the future? Carl Hernandez: Excellent question. It’s one that the faculty asked when we opened the clinic, it’s one that’s been asked by our partners in the community, one that students ask, how are we going to transition. We are in that process now for petitions, for example, we have got asylum cases that have been prepared by these students that we are about ready to file and certainly those students, though they have prepared the application through completion, they are not going to be able to become part of the follow-up to those cases, if any, because they will have moved on right into the last — many last semester of law school or some that will just move on to their third year of law school. And so the contingencies that we have there is we have already got a full class for next semester and we are going to start to transition these cases to other students who will be in the class next semester and then we will maintain this clinic throughout the summer and students will be able to serve as research assistants and as externs in the clinic as well. So it will be a year-round clinic where we have complete transition of cases from one semester to another and from the semester throughout the summer. And so there’s a continual representation of these clients. And clients realize at the beginning, because our engagement letter helps them to understand that there will be a transition of student representatives during the semesters, and so the clients are fully aware of this and I think they are just grateful for the help that they receive. So we are able to give them some level of comfort that they will continue to receive the service they need from the clinic. John Weber: In thinking of the future, how do you adapt to the ever-changing nature of immigration law and policy, especially as it has become even more charged under the Trump administration with both rhetoric and policy? Carl Hernandez: Right. I think education is so important for our community. I think it’s important for us to remain engaged with our partners. Those that are engaged in providing immigrant services and making sure that we are educating our community about potential changes in policies, potential opportunities to receive change of status in their current immigrant situations. So I think education is really important. Because BYU Law School is such a well-known institution, not just locally but really internationally, I think our opportunities to educate our constituents and those that are likely to receive our services is really critical and important. So as we partner with our sponsoring institution and other members of our community, both here and nationally, we will be able to ensure that we are on top of the changes, both policy and legally, to provide this information to our constituents, those that we are surveying, and then we will follow-through with making sure that those that are in our clinic, those students are well-trained to address those issues. I did want to add one thing. I really believe that the law students that we are training in this generation are exceptional and I think we need to have more confidence in their abilities to perform services that are really, really needed in our society today. These legal services that students are able to provide are filling, I think, a significant gap that is unaddressed in our nation today and so I am really grateful that we have students that are both interested and capable in providing these types of services. So I think we need to recognize that we have just got a really qualified group of students that are in law schools today, at all law schools throughout the country and mobilizing these students to provide these continuing services, to keep up-to-date with policies and with changes in the law will be of great benefit to those that we intend to serve. John Weber: On behalf of law students across the country, we thank you for those kind words. Carl Hernandez: You are a welcome. John Weber: I wonder about expanding your impact and whether it’s something that you are doing now or may have just thought of in the future. Do you plan on working with other schools or communities to expand programs like this on to other campuses, get the word out, share, whatever good work it is that you are doing, again, just to increase your impact so that it’s more than just one clinic on one campus? Carl Hernandez: Yes, we intend to take this particular clinic that we have developed and we will continue to work with other schools on campus to provide an interdisciplinary approach to solving problems. So what we plan to do is to have other students that are in graduate school here and perhaps some undergraduate students that are able to serve with us in this clinic and provide services that go well beyond the legal issue that a client might have. As you know, in your experience when you are looking at a particular problem when a client has a legal issue, it may indicate that the client has some underlying problems or issues that need to be addressed to be able to fully solve the problems and maybe some of the obstacles the client is facing in having a level of prosperity that they would like to reach. So as you look at those underlying issues and help to solve those problems, then you will enable the client to be able to accomplish and reach some of the goals they might have, because you have removed some of those obstacles. So for example, we have already seen clients that come in that have financial issues. They may have issues with receiving and accessing public services. They may have need for counseling services and so we hope to bring to bear more services from many other students that are in graduate programs and undergraduate programs here on campus. So we will create a template like this and the Church of Jesus Christ of Latter-Day Saints, the LDS Church has employment and self-reliant service centers all around the country, as well as in many parts of the world. So we would like to partner with other law schools with both here in this country and across the world, if possible, and apply this template to get law students and other professionals engaged and involved in providing services, legal services, and other services that will help these individuals whom we hope to serve to heal. We believe that the lawyer should be a healer, that he or she should be able to convene services using their leadership skills and bring to bear opportunities for these clients to receive services beyond the legal service, which is of course critical for what we do here at the law school, but to also assist with bringing other types of needs to our clients. John Weber: That is really exciting professor and I look forward to seeing what the future holds for this clinic, both at BYU and throughout the country, and as you said, perhaps the world. Allow me to also plug the ABA Before the Bar Blog as a means to promote and begin to export this idea. It’s open for you and other authors who would like to share what they are doing on their campuses. We also highlight schools and students doing good work in our magazine, The Student Lawyer. Those are our publications in addition to this podcast and again would offer those to you if you would like to use them. How can people get involved, if they are interested in taking you up on exporting this to other campuses, what’s their next step? Carl Hernandez: So their next step is to contact me here at the law school. I can be reached at HYPERLINK “mailto:[email protected]” [email protected]. Send me an email. Tell me that you are interested in forming a collaboration with us here at the law school and we have, again, our sponsoring institution that I am sure would be very interested in forming collaborations for students and others at other law schools here in the country. One of the great benefits that we have for this clinic is that many of our colleagues across the nation can attest to this, that it can be very expensive to run a clinic, but when you have a partner like we do that provides the facilities where we meet, our students have individual offices where they meet with their clients on a weekly basis, so we have a facility and tremendous support from our sponsoring institution. I am sure that they would be willing to look at other collaborations across the nation here that would benefit both law students and members of our community that need access to legal services. John Weber: Excellent. And as a student at a public school our sponsoring entity may not be quite as generous. But could you tell us one more time and perhaps slowly how they can reach you at your email address? Carl Hernandez: Yes, that’s HYPERLINK “mailto:[email protected]” [email protected]. John Weber: Wonderful. Well, it has been an absolute pleasure talking with you today. Thank you so much for the work that you are doing and the way that you are investing in both students and the clients at this clinic and inspiring those of us listening to get involved in whatever way we can as well. Carl Hernandez: John, it’s been a pleasure for me to share some time with you. I wish you the very best going into the future as you enter the profession. I am sure you will be a great representative and a great ambassador for your law school. John Weber: Thanks again to Professor Carl Hernandez from the BYU Law School for joining us on this podcast. We hope you have enjoyed another episode of our podcast. We would like to encourage you to subscribe to the ABA Law Student Podcast on Apple Podcasts and to take a moment to rate and review us as well. You can also reach out to us on Twitter @abalsd, using the hashtag Law Student Podcast. We want to hear what’s on your mind. I am John Weber and we want to thank you for listening to the ABA Law Student Podcast. Stay tuned. Connect with us. Let us know what you are doing to make a difference on your campus and in your community. Until next time podcasters.